Plastic and Rubber Corner Guard or Pillar Guard. 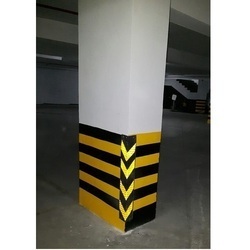 Pioneer Pillar or Corner's Guard made from Plastic and Recycled Rubber for Parking Solutions. We are one of the leading manufacturers & suppliers of Corner Guard. 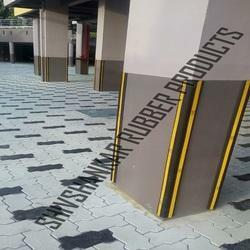 As per the needs and requirements of our clients, we are involved in Rubber Corner Guard. We are one of the leading manufacturer and supplier of EPDM Corner Guard. In order to keep pace with the never-ending demands of customers, we are involved in offering a wide range of Rubber Column Guard. 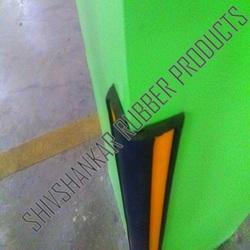 We offer Rubber Corner Guard as per client requirement. They develop our range using unique quality natural / EPDM rubber. Our range is very easy to use and install. Our range is ideal to be used in light, medium and heavy traffic areas. Our products have unique properties to resist weather. 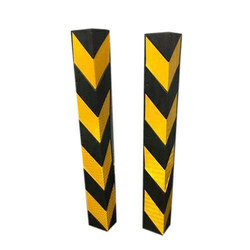 We are one the leading manufacturers and suppliers of Corner Guard. Offering you a complete choice of products which include round Pillar Guard. To meet the variegated requirements of our clients, we are offering an excellent quality range of Pillar Guard. The product is acclaimed in the market due to its quality construction, easy installation, and high tensile strength. We make use of supreme quality components and ultra-modern technology while designing these pillar guards which is in tune with the industrial norms. We provide a stringent quality check of our products on different parameters before delivery to ensure its flawlessness and long life. We are instrumental in offering a wide range of Corner Guards. 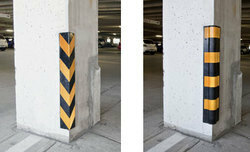 We are one of the leading manufacturers & suppliers of Parking Pillar Guard. International standard Bright colours effectively catch the drivers attention. Tamper Resistant. Rubber corner guards are strong and have very high impect Resistance & high reflectivity at night. Installing on pillars can be used for the precautions for car scratch. 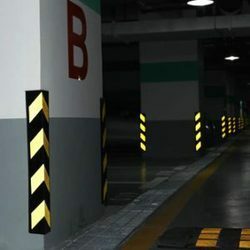 We are counted among the leading manufacturers and suppliers of a wide array of Rubber Corner Guard With yellow Sticker. These guards are widely used to protect the edges of columns in structure. 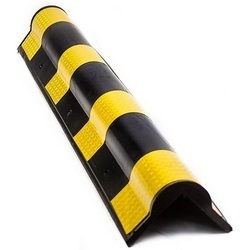 All our offered rubber corner guard are manufactured using natural and synthetic virgin rubber blend and it provides a cushion to the construction.